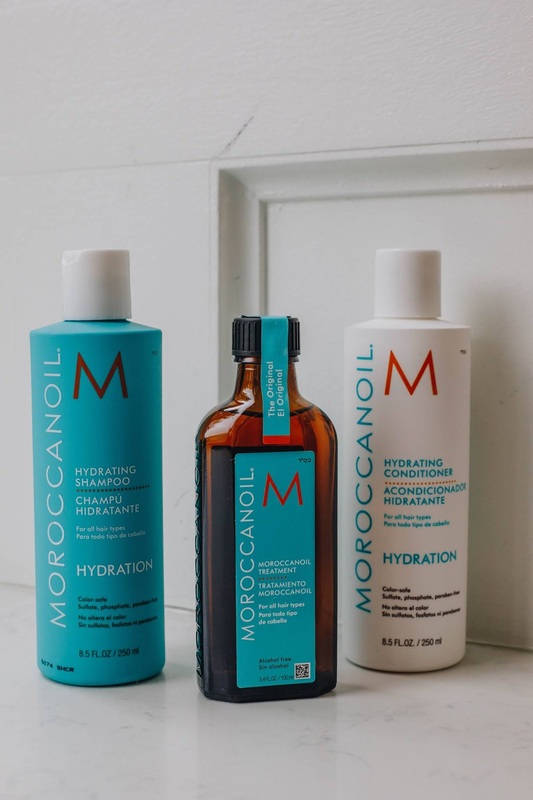 This hydrating shampoo is infused with argan oil and replenishing vitamins. It claims to have the perfect formula for all types of hair while also increasing manageability, smoothness, and shine. With my oily hair I wasn't sure what to expect. At first I thought my hair was getting oilier from this shampoo but my hairdresser told me that I was focusing the product in the wrong areas and it has worked so much better. After a few months of use I feel like my hair is definitely more moisturized and healthier looking. It also smells delightful, and has a good viscosity. Not too thick or thin. I know spending $10+ on shampoo and conditioner seems ridiculous but this bottle alone has lasted me over 5 months. I only use like a golden dollar size. Similar to the shampoo this is a hydrating conditioner that has argan oil, replenishing vitamins, and red algae (moisture attracting). A little bit of this conditioner goes a long way. I like that I don't feel the need to pack this conditioner on to get the effect I need. I have some crazy knotted hair sometimes but I don't feel that way after I use this. Overall this conditioner works really well as a de-tangler. Plus its good for straight, wavy, and curly hair types. This is an argan oil-infused hair styler with a light formulation that can be used conditioning, styling and finishing. This product is for detangling, boosting shining, speeding up blow-drying time, and improving manageability. Personally I think it works well for boosting shine and speeding up blow-drying but as someone with an already oily scalp I am trying to stay away from putting more oil in my scalp. I'm pretty sure this 3.4 oz is going to last me a life time. 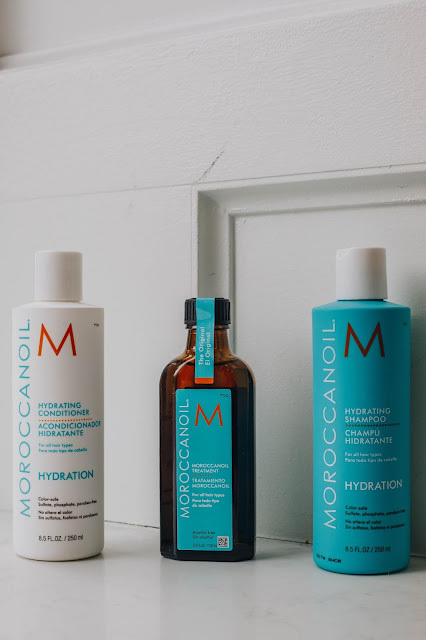 Overall I am pretty impressed by MOROCCANOIL and how its transformed my lifeless oily hair. It gives me enough body and keeps my oily hair tame. My second, and third day hair has looked much better lately. 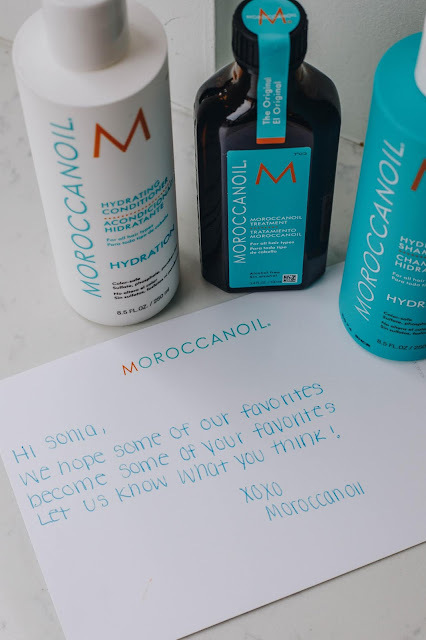 I received these products courtesy of Moroccan Oil. All opinions are always my own. Very nice article keep it up the good work Wonderful!! Thank you for posting informative blog. They sound like great products! I have always wanted to try these, but never have! This brand is seriously the best I've ever tried, and I've tried a lot lol. All of the products give an amazing texture, fullness and shine to the hair.